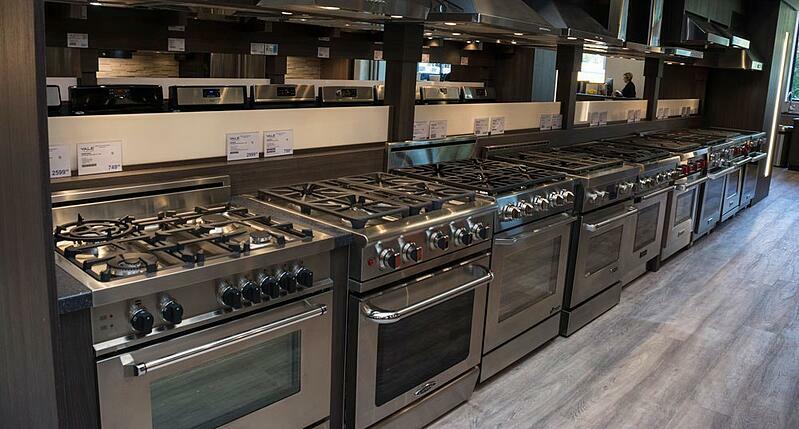 A professional range should be easy to buy. Professional ranges differ in terms of BTU output and cooktop configurations such as having a grill, griddle or French top. 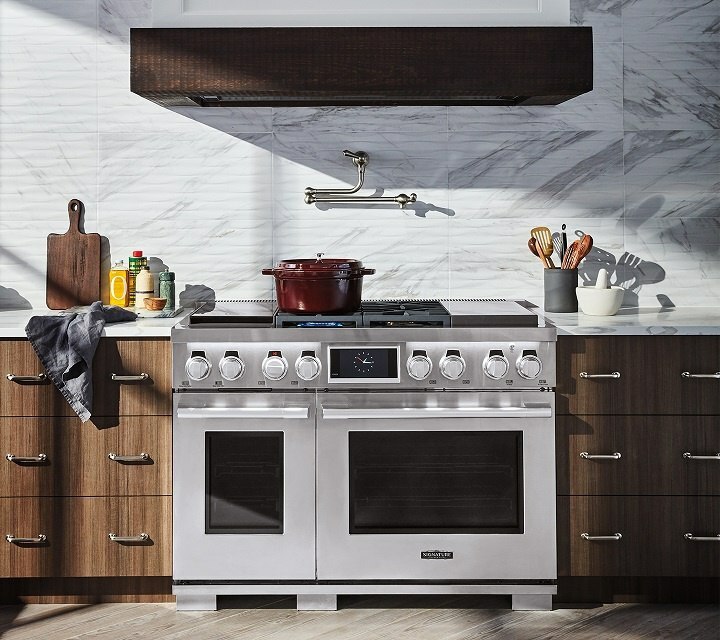 However, over the last 10 years, pro ranges have changed with more residential features like self-cleaning, dual convection, guided cooking, sealed burners, and different color options. Now it is the most confusing, single appliance to buy. 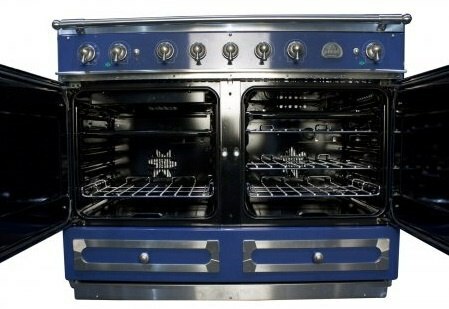 In this article, you will learn the features of both the oven and cooktop along with reliability. You will learn the best attributes of all the brands. There will be a few videos to illustrate some key points as well. In the end, you will have a very good idea of what will be the best range for you and your family. 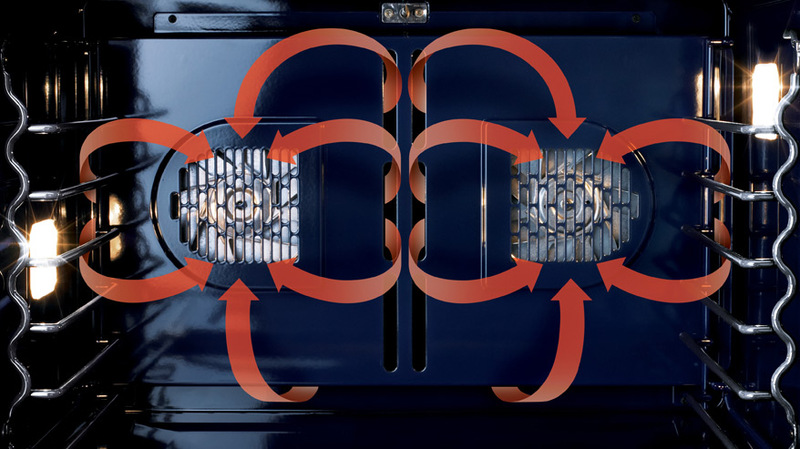 You can even try a configurator matching your desired features with the best corresponding range. Let's start with the easiest question: What sizes are available for professional ranges? What sizes are available for professional ranges? How do you choose a professional range? Pro Ranges are available in 24, 30, 36, 48 and 60-inch sizes with 30 and 36 being the most popular. 24 inches is a smaller unit for apartments or pool houses. 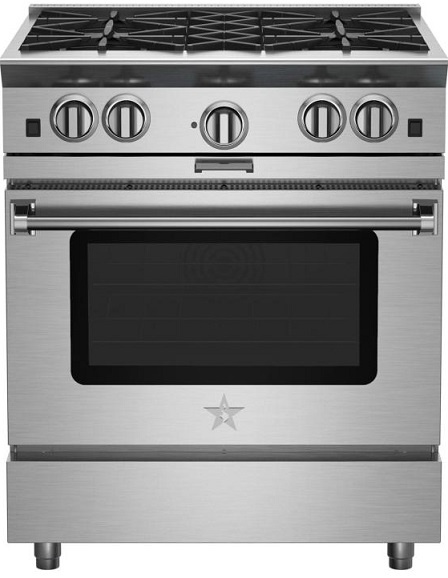 A 30-inch has the same burner configuration with a larger oven and more selection for controls and other oven features. 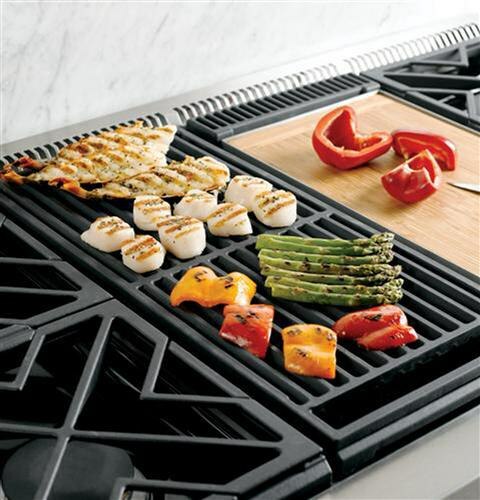 You move into a larger oven at 36 inches plus a griddle, grill or 6 burners instead of just 4 burners like the 30. You add a second oven in a 48-inch oven. 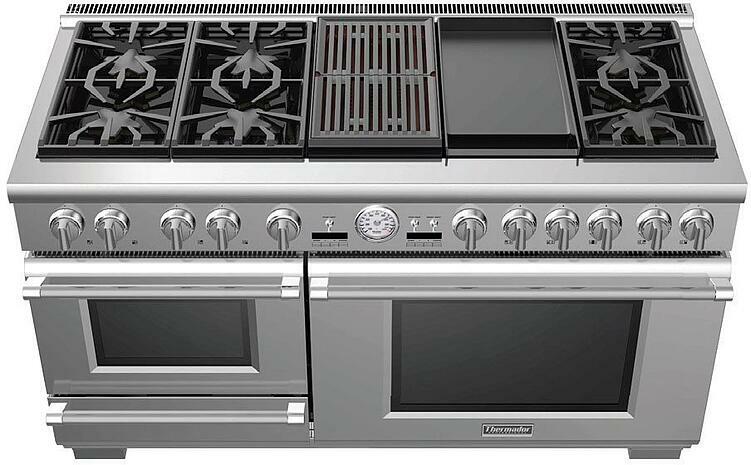 Steam, speed, and warming drawers can also be added to a 48-inch along with a French top and up to 8 burners. 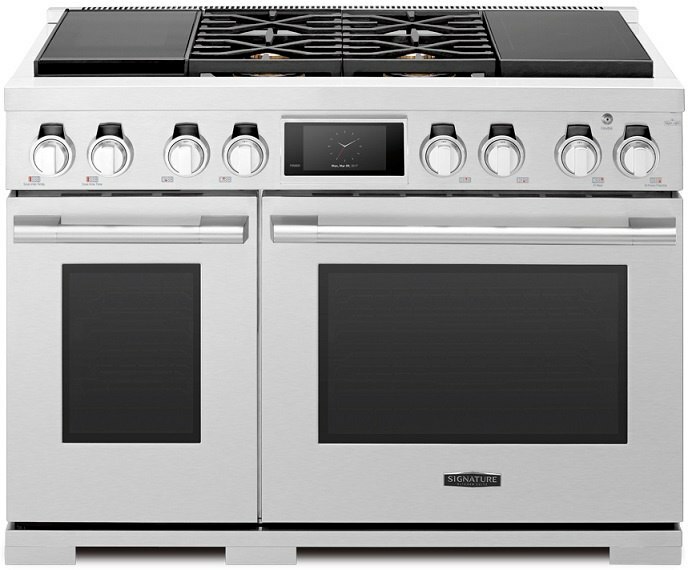 The second oven is larger in a 60-inch pro range. 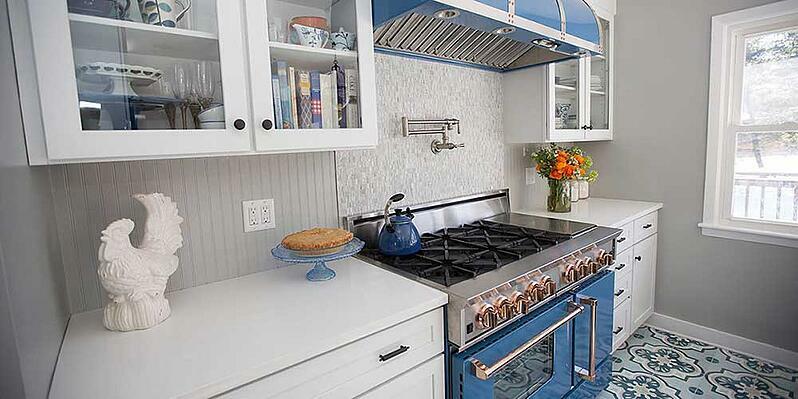 You also have up to 10 different cooktops combinations instead of 8 options in a 48-inch. Before you look at burner outputs, simmering capabilities, grills, and the option of a griddle, you should understand the difference between an open and sealed burner and why it matters. An open burner typically is hotter than a sealed burner because there is more surface for oxygen. BlueStar and Capital are both open with 25,000 BTU max output. Viking is the most with sealed burners at 23,000, but a typical sealed burner is 18-20,000 BTUs. In terms of cleaning, sealed burners keep the spills on the top. However, you can disassemble an open burner and clean it in the sink. 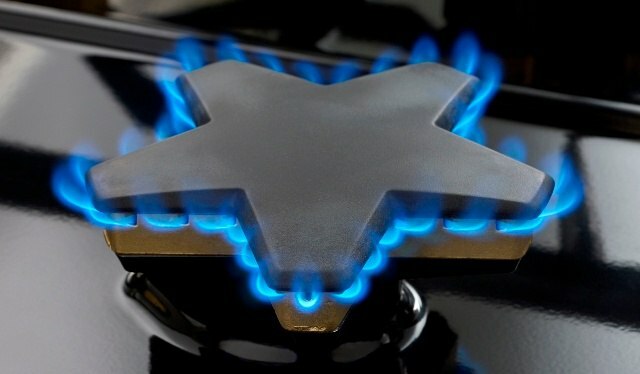 BlueStar is the most powerful with multiple 25,000 BTU burners, because of its open burner. Viking has 23,000 in a sealed burner. 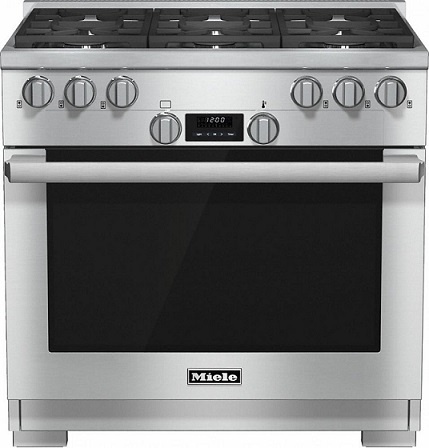 Wolf (Dual fuel) and Jenn-Air have 20,000 BTUs while Miele has 19,000. Thermador is 18,000, but their burners are all 18,000 BTUs for one of the best total BTU outputs. Wolf dual fuel and Jenn-Air have 20,000 BTU burners as well. Thermador has the best simmer at 100 BTUs on two of their burners. Wolf has a 340 BTU simmer on all their burners. It is a consistent simmer whereas Thermador achieves the low BTU by turning on and off. The infrared is the best grill because it sears quickly. The infrared also burns the drippings, so it is much easier to clean than a gas or electric grill. Miele and Wolf employ an infrared. You need to think about a more powerful hood with an inside grill. Griddles are like grills. Gas infrared heats up faster. The electric Jenn-Air has a chromium finish and is the easiest to clean than any other. Electric has a consistent temperature but takes more time to heat. French Tops look like griddles, but have one burner in the middle, so the outside temperature is lower. They are used to cook multiple items at multiple temperatures. Wolf, BlueStar, and La Cornue all have French tops. 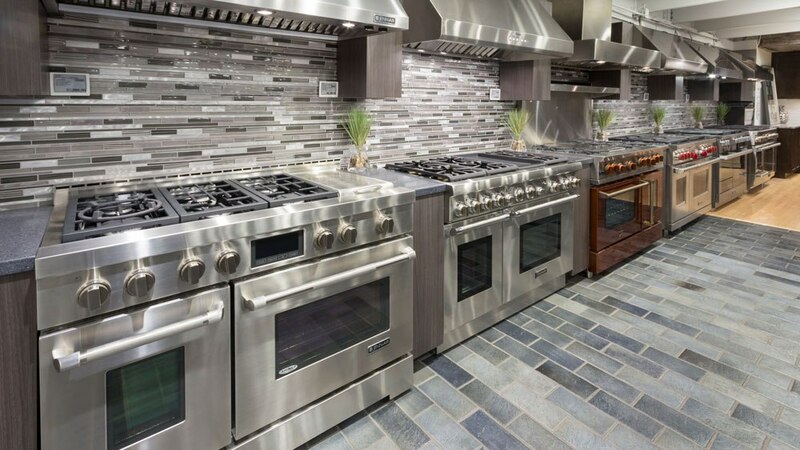 Oven Controls run the gamut from no controls like BlueStar, Thermador Harmony, and La Cornue. 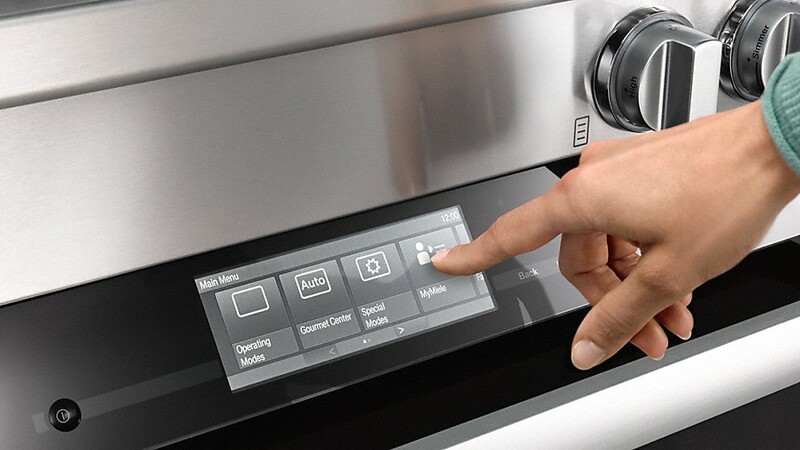 Jenn-Air and Wolf have better clock and timers, but Miele and Dacor have elaborate self-guided controls. You program the Miele and Dacor by inputting the food type and doneness, it calculates time and temperature. Gas is a moister heat and better for roasting whereas electric is dryer and more precise for better baking. Certain gas manufacturers have hotter infrared broilers like Thermador, Wolf and BlueStar being the best. It’s a bit more complicated than just straight gas vs. electric. 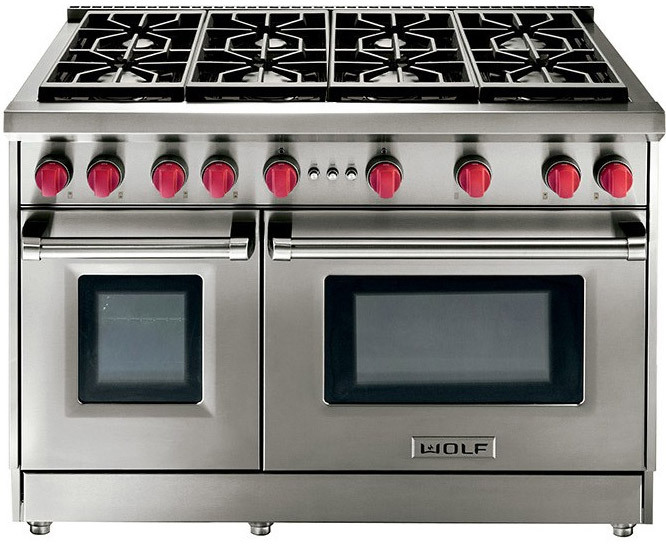 The Wolf, Thermador, and Miele dual fuel ranges have better features than their all gas models like better convection systems, controls, as well as steam and speed functionality in the Miele specifically. The best oven may be the La Cornue with its arched top. However, the Wolf dual fuel has twin convection with both fans on thermostats to control temperature more precisely by shutting one fan if necessary. You can also find twin convection in Jenn-Air and Miele in both gas or dual fuel. You would think self-cleaning would be a given, but restaurant ranges are non-self-cleaning as are many pro ranges. BlueStar, La Cornue, Thermador Harmony, Capital, and Wolf all-gas are not self-cleaning. Miele, Dacor, and Thermador have changed the pro range for features. 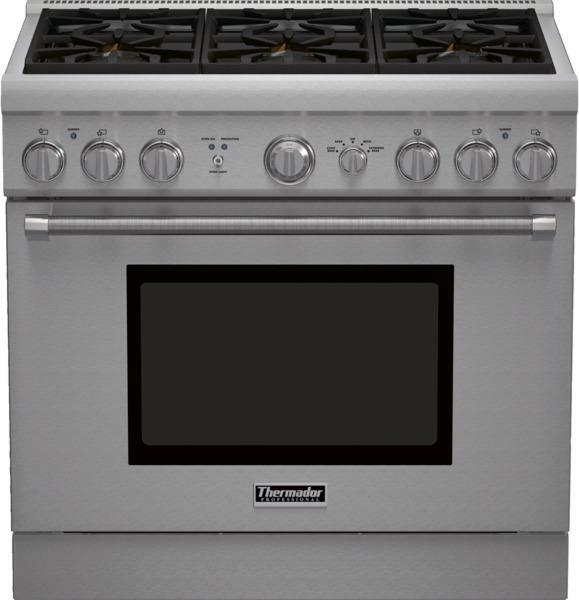 In the Thermador Grande Steam 48 and 60-inch stoves, you have a steam oven option. Steam does not bake nutrients out of the food and adds texture as well as flavor. They were the first to add a warming drawer for keeping food warm up to three hours. Miele Dual Fuel adds a steam assist for bread baking and caramelizing foods. On their 48 inches, you have a speed oven option and a warming drawer. Speed is a convection oven with a microwave. You will save almost half the time without the rubbery microwave texture. 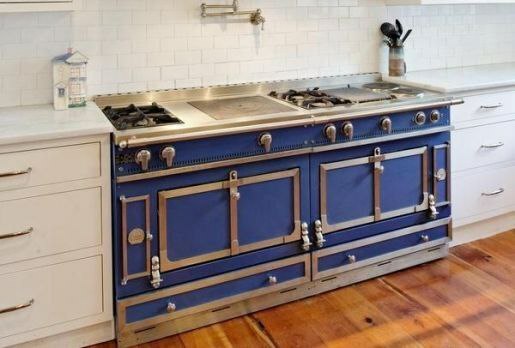 Most stoves are stainless only. BlueStar has 750 different colors and 8 trim styles. La Cornue can be totally customized as well. Viking has colors as well. Dacor has a new black finish. Based on our 31,761 service calls completed last year. These figures are actually way lower than previous years, mostly because we stopped selling problematic brands. Viking, for example, was well over 50% in 2013. You probably think 28% is still too high. However, more expensive appliances seem to have. Pro ranges have a higher incidence of repair than every appliance other than refrigerators. Then again, a pro range can be equivalent to two ranges in some cases. Most of the repairs are minor igniter issues. 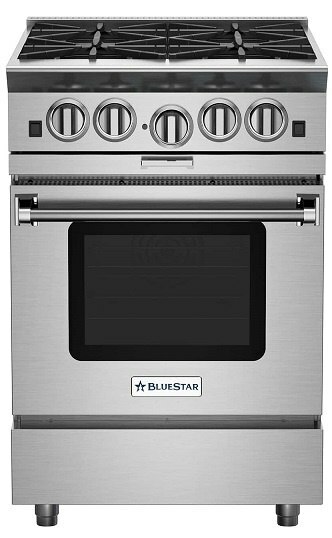 BlueStar is a powerhouse of a range with great burner output and the hottest infrared broiler at 1800 watts. It is the only pure gas convection pro range on the market other than SKS. You can choose any color option. Weaknesses: The burners are open and not sealed. The range is also not self-cleaning and does not have a clock and timer. Jenn-Air has good output, very good controls, twin convection, self-cleaning and the most cleanable griddle at a very good price. Thermador has the best simmer and good output on every burner. Their 48 and 60-inch ranges could be the best featured with a steam oven and warming drawer. Weaknesses: The Harmony series is not self-cleaning and does not have a basic clock/timer. The grill and griddle are electric, not infrared. 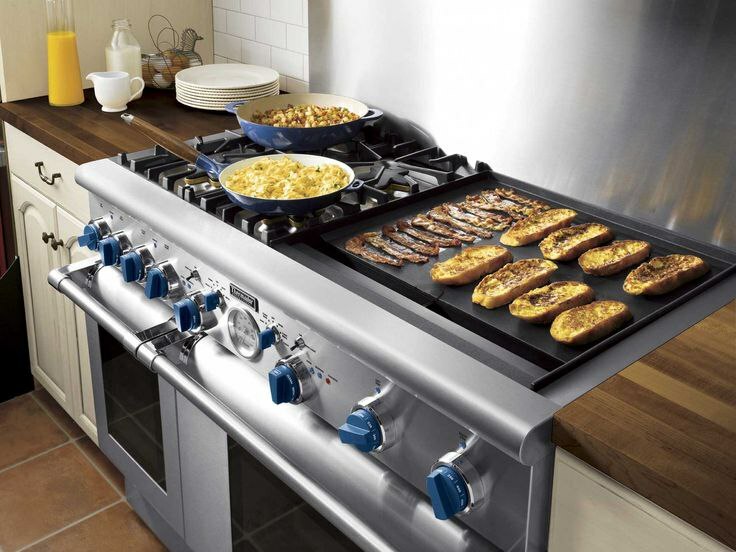 Miele has a clean modern appearance with an infrared grill, griddle as well as self-cleaning in both electric and gas. 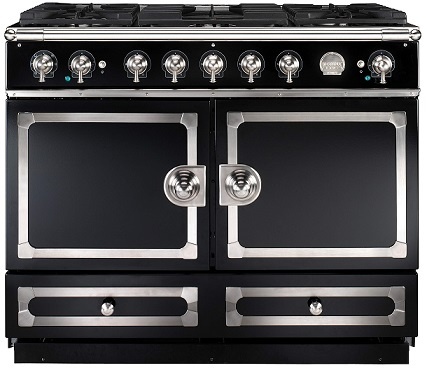 Their 48-inch dual fuel range has steam assist, a speed oven, and a warming drawer. Wolf has the best grill, griddle, and a very good broiler. The simmer is probably the best on every burner. Their all gas is not self-cleaning without a clock and timer. La Cornue is totally customizable on the top and oven. This French range is almost like a high-end piece of furniture. Weaknesses: Very expensive and a 3-4 month wait. SKS by LG: Pure convection, Sous Vous capability (only range to do so), induction option. 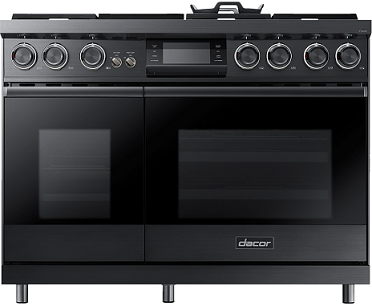 Dacor: Steam, steam assist, Wi-Fi capability, high output burners, Black Steel styling. Click here to read more about our best 36-inch professional ranges. First question: What is important to you? Do you bake, roast or broil? How do you use your top? Will you grill or use a griddle. If it is high output, then BlueStar is the obvious choice. 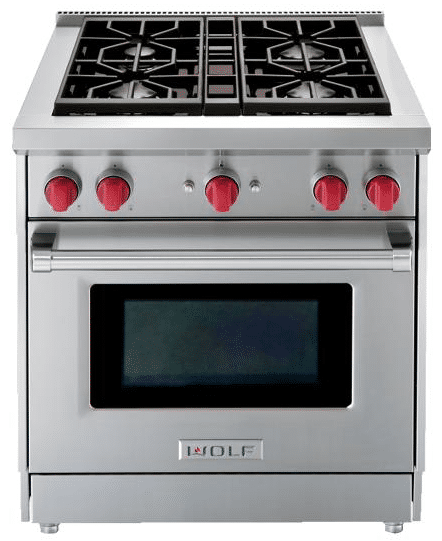 Wolf has a versatile combination especially in their dual fuel of infrared grill/griddle, good output and simmer. 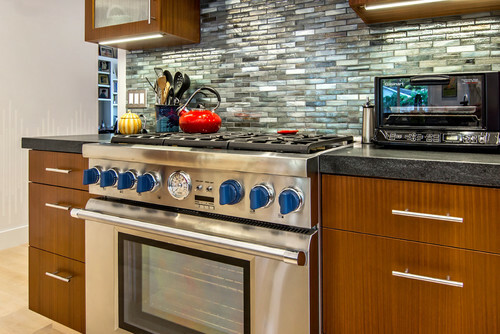 Thermador has a fantastic simmer and good all-around cooktop performance. Their 48 and 60 have steam (we can teach you, BTW). 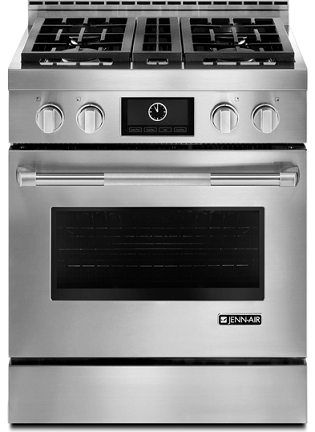 Jenn-Air is another versatile unit in gas or electric. Easiest to clean griddle, good power and twin convection are its hallmarks. Miele is clean and modern with self-cleaning in both gas/electric and infrared grill/griddle. Their self-guided cooking with steam is amazing. We're beta testing our new Professional Range Configurator. Input your personal preferences and it should guide you to the appropriate brand. Try it multiple times with different features. Click here to try the Pro Range Configurator. We show all the major brands in live kitchens. Click this link if you would like to schedule a showroom visit or cooking demo. 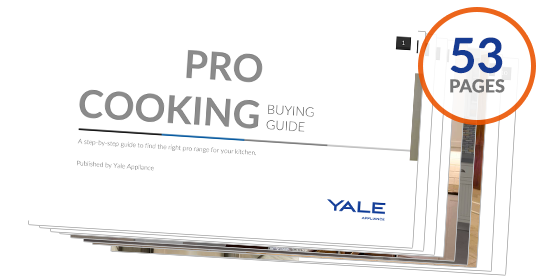 Get our free Pro Cooking Buying Guide with tips, trends and reviews of all the best brands. Over 375,000 people have already found answers in a Yale guide. Are Wolf Pro Ranges Worth It?